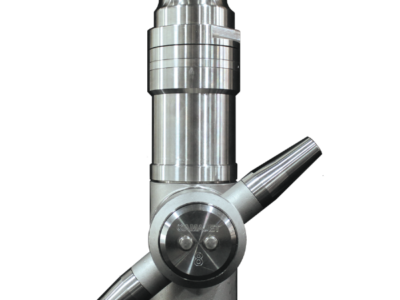 The Gamajet PF tank cleaning machine was specifically engineered to offer the most efficient and effective cleaning for vessels with capacities of 5,000 to 25,000 gallons. 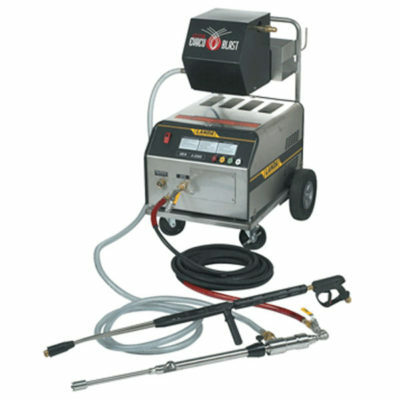 The durable machine offers optimal cleaning at a variety of pressures and flows. 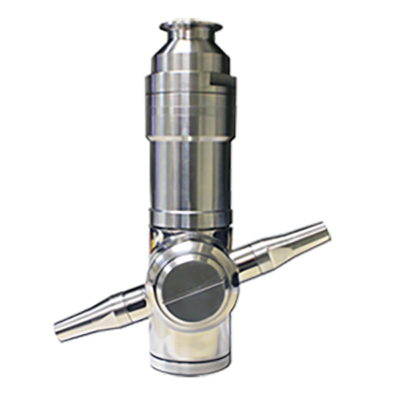 The sanitary design of the Gamajet PF makes it ideal for use in food & beverage, pharmaceutical and personal care industries, for both portable and permanent applications. 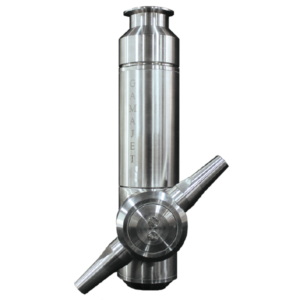 The standard machine is self-cleaning, self-flushing, and self-lubricating, requiring no oil or grease in the gear train. However, a grease-lubricated version is available as an option. All components of the PowerFlex are made from FDA compliant materials. The key to the Gamajet PF’s versatility and durability is the use of an oversized gear head that efficiently generates the proper torque to rotate the unit. The larger components last 20-30% longer than traditional drive mechanisms, making the Gamajet PF our most durable design to date. 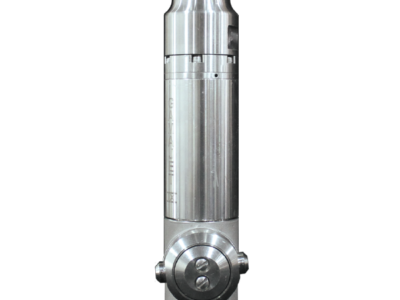 The large gear reduction allows the Gamajet PF to operate at lower pressures and higher flows when compared to other tank cleaning machines. 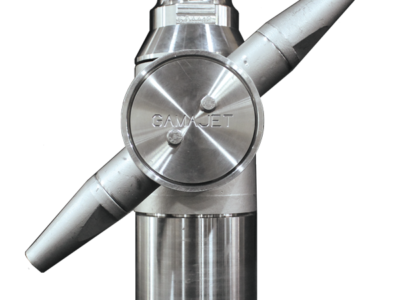 Like other Gamajet tank cleaning machines, the Gamajet PF uses the same proven Gamajet impingement cleaning pattern, scouring 100% of the tank, every time. 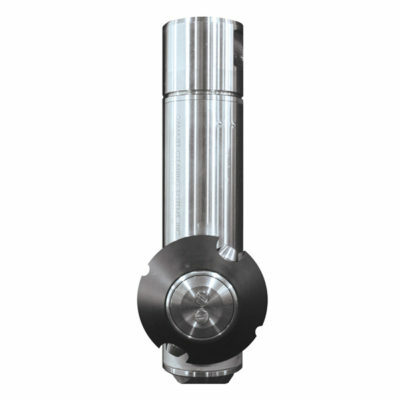 Shaft & Gearbox Bushings: Turbine shaft thrust is absorbed by a Tungsten carbide bushing. Gear bushings are food grade polyphenylene sulfide. Elastoners: O-Ring materials are selected for each application. EPDM is standard, with Viton and Kalrez available. Other materials can be supplied on special order. Drive Mechanism: The wash fluid enters the Gamajet at the inlet collar where it encounters and spins turbine blades. The turbine blades are attached to the top of the drive or rotor shaft. 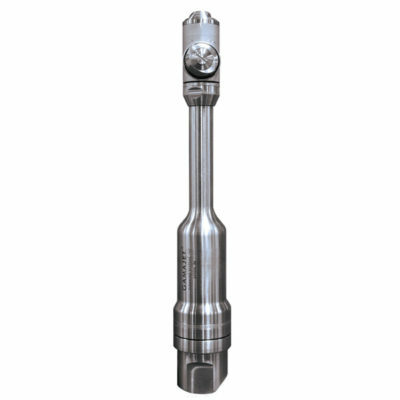 The bottom of this shaft is connected to the inside of a flo-thru, robust planetary gearhead which then turns the body in the horizontal plane and the nozzles in the vertical plane. Planetary Gearhead: The flo-thru planetary gearhead uses the wash fluid as a lubricant. 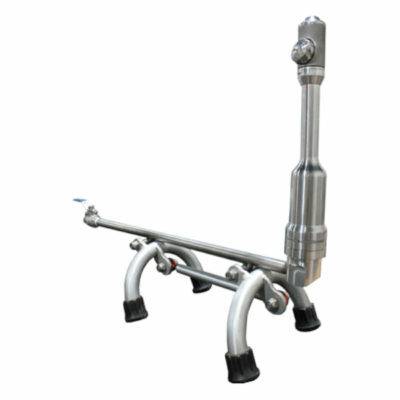 All internal gearhead parts are stainless steel.